Every day we guide clients in their pursuit of data security. Depending on the use case this guidance focuses on digital forensics, endpoint security, intelligence and data encryption. Can some of this technology be complex? Yes. Do all data security solutions need to be complex? NO. Let’s take IAM or password security. If you’re considering a total, holistic answer for IAM you’re should be considering a FULL IAM solution which consists of: PAM, SSO and Password Manager. But what if your environment does not need a FULL IAM approach? What if your team doesn’t have the skill set or the budget is not available for a full IAM? 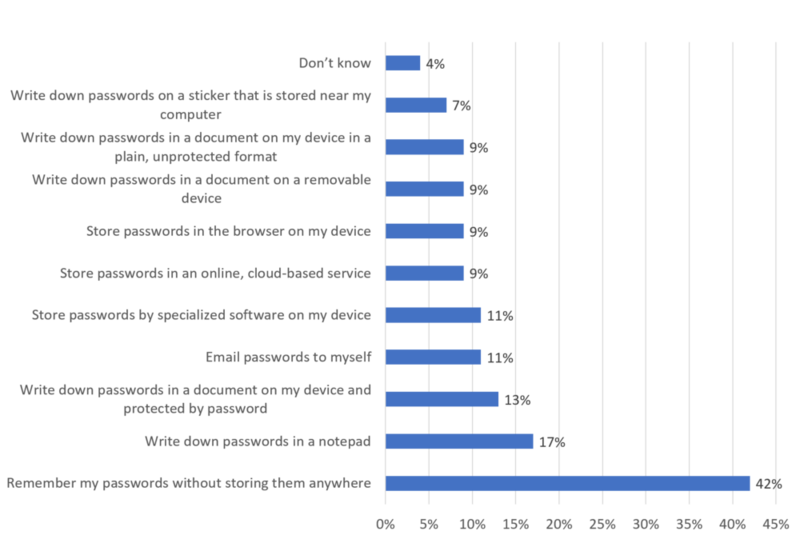 The best answer is to look at a password security/management technology. Why consider a password security/management technology? The above data is disturbing. But, can be managed by the use of a password security technology. An added benefit: changing the employee behavior by letting the technology replace their need for managing passwords. You can have all the best processes and training in place, but people being people….